Iraq (MNN) — Christianity has been around in Iraq for approximately 2,000 years — one of the oldest Christian heritages. 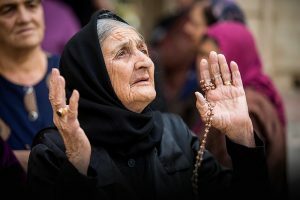 However, Iraqi Christians are teetering on the knife’s edge of extinction, according to Chaldean Archbishop Habib Nafali of Basra. The Archbishop suggests that all it would take is one more wave of persecution to wipe out Christianity from the country entirely. It’s not hard to imagine. Christians in Iraq are essentially suffering genocide as they are systematically targeted by Muslim extremists. Furthermore, Denise Godwin with International Media Ministries (IMM) says for those who leave, it’s difficult to go back. According to Open Doors’ World Watch List, Iraq is 8th in the world for harsh Christian persecution. In addition to extremist terrorism, Iraqi believers also face oppression from Christianophobic employers who refuse to hire them and from government leaders who want them to leave. That’s where IMM comes in. 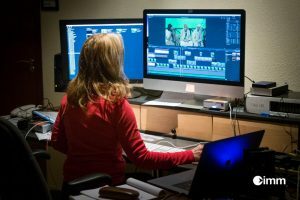 Their ministry is working to get Gospel-based media on every screen — including in closed countries like Iraq. 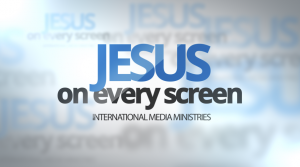 IMM creates drama and storytelling videos that share the hope of Jesus Christ. Christians in free societies can sometimes take connection with the Body of Christ for granted and even neglect meeting together. But for believers in Iraq, communal gathering isn’t even always an option. These believers often embrace media in various forms to interact with fellow Christians and grow in their faith. Although it’s easy for government officials or Muslim radicals to shut down a church building, it’s much harder to control digital forms of communication and connection. As IMM continues advancing the Gospel and encouraging the Church in Iraq, Godwin recognizes this is a very real spiritual battle. They need your prayers. Click here to learn more about IMM and how you can come alongside their ministry! Pray for Christians in Iraq to persist in spreading the Gospel and growing God's Church. 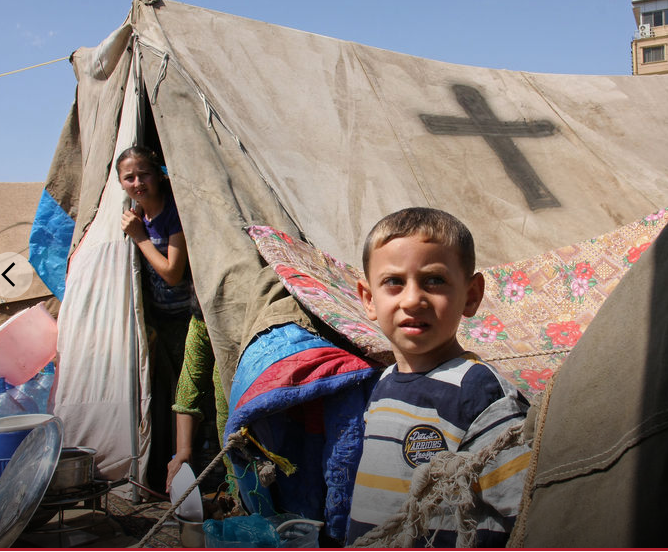 Ask God to make a way for Iraqi Christians living in the diaspora to return to their homeland. Pray for Muslims in Iraq to have their eyes opened to the truth of Christ. Pray for IMM and their ministry partners to be protected against dark spiritual forces seeking to stop their work.